The revolutionary AQUAGOLD® will have you seeing clear, youthful skin without any downtime! Bid ‘goodbye’ to painful microneedling, fractionals, facials and even radio frequency treatments that don’t give you satisfactory results. IS ERASING FINE LINES, AGE SPOTS, DULL, MATTE SKIN AND REVERSING VISIBLE AGING BECOMING YOUR REALITY? If your answer is YES and you’re almost hitting your 30s, you are witnessing the early signs of aging! 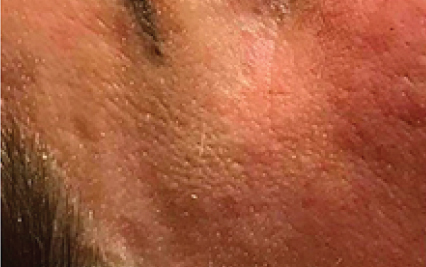 Now, you desperately need a quick fix to these problems, yet you don’t want to go through long hours of facials or radio frequency and microneedling treatments that don’t guarantee you any real results. this might sound unbelievable, but a 15 mins AQUAGOLD® treatment with no downtime can transform your skin! Achieve an amazing poreless skin complexion with this revolutionary technology that has been hailed as the ‘Super Mega Facial’ that can target all of your skin concerns at once! It saves you a hell lot of time, money, hassle and pain! Discover this life and skin-transforming treatment in a matter of minutes! how does the AQUAGOLD® work? 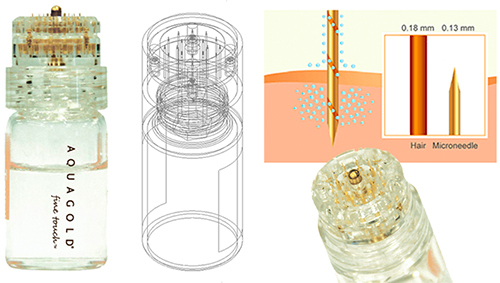 Introducing AQUAGOLD® – the latest patented gold-plated needle system that is here to shake up your skin! The needle of the AQUAGOLD® is much finer than a strand of human hair. 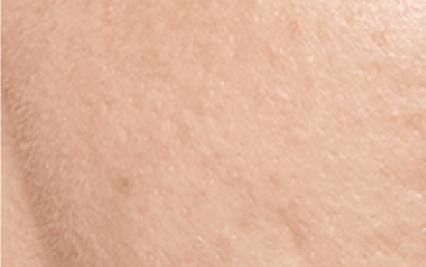 This allows the channels of the needles to directly deliver intradermal tightening and healing properties to the skin. 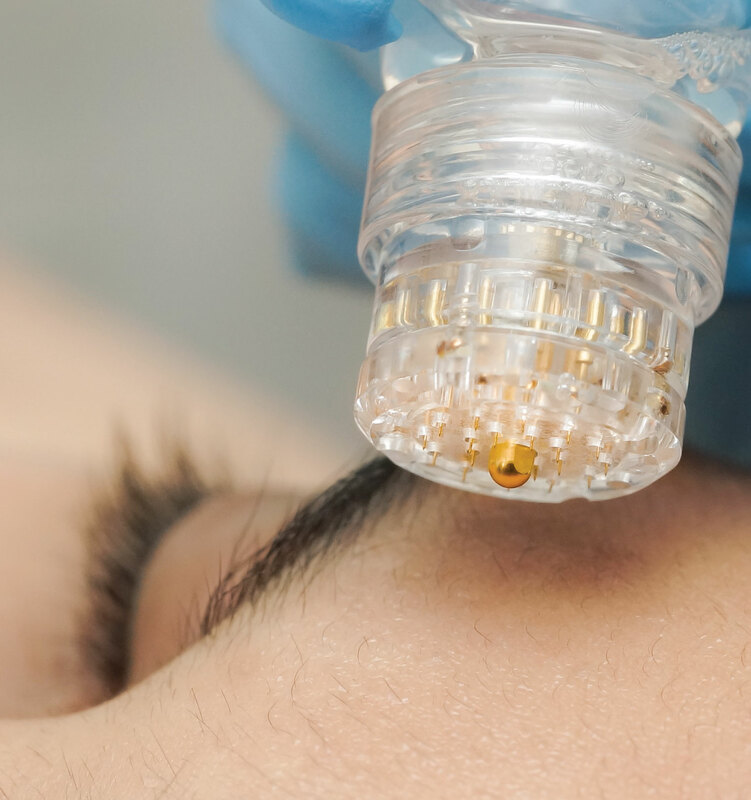 It can provide thousands of microinjections per minute with its 20 needles that are coated in gold, so as to minimise the chances of irritation or allergic reaction. A custom blend of serums to target your personal skin conerns, such as hyaluronic gels and even the latest anti-aging Rejuran®, is able to be transported and penetrate the skin painlessly at the ideal 600 micron depth. WHAT ARE THE benefits OF THE AQUAGOLD® fine touch™? WONDER HOW AQUAGOLD® WILL WORK ON YOUR SKIN? Place the probe on affected area. Green and Blue light will emit and the melanin in the hair absorbs the intense light and changes it into intense heat. Heat spreads to nearby structures by contact and damages the cells of hair follicles. The hair from the follicle is permanently removed. Well, we won’t say is totally painless, but the pain level is totally bearable. The sensation felt very much like rubber band snapping. But not to worry about the pain level, as the energy level can be adjusted. Just tell our experienced therapist that you prefer a higher or lower energy, they will act accordingly. 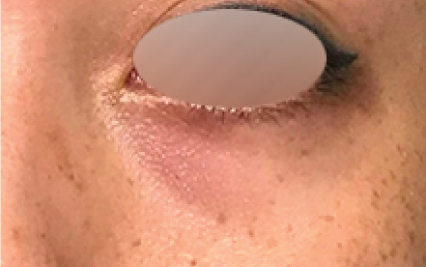 What to expect during treatment? Prior to each treatment, a cooling gel will be applied on the intended areas. Protective eye wear will be provided to shield your eyes from intense light. During treatment, you will feel the heat/ warmness from the device heat. The whole procedure takes about 5-15mins, depending on the areas involved. What's the best interval timing for next visit? Best interval periods for the beginning period is 2 weeks, following by 3 weeks when hair grows slower, and 4-6 weeks when hair grows thinner and temporary stop growing. For people who have done IPL, a 2 months interval period is recommanded for maintainence. Are AQUAGOLD® treatments safe, and are there any side effects? There is no side effect. COPYRIGHT © 2019 O MEDICAL CLINIC. A PART OF THE ONLY GROUP.